California’s oldest and largest Celtic Faire. Step through time in the Celtic Living History area. Dozens of groups portray times from 50BC through the 18th century. Faire includes live music featuring Celtic, Irish, and drinking songs, and of course bagpipes. 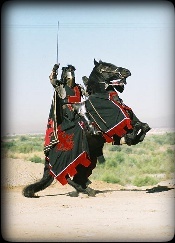 Don’t miss the knights as they perform in sword fights and a full contact jousting.